shhh. 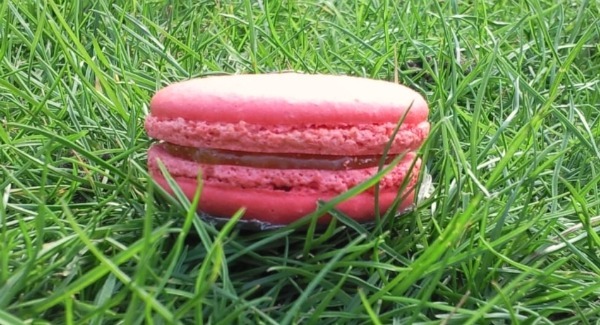 If you're very lucky you might see a macaron in its natural habitat. My second attempt at the Italian meringue method of macaron creation went a bit better than the first. I wanted to try something a bit different this time, so I went for pink shells with a mango filling. I made my own recipe for the filling so I was pleased it turn out okay. It's not the greatest colour, but it tastes good. I made them a bit thinner this time and let them dry properly before baking them. I also only cooked one tray at a time. They are so temperamental! I will always -let me say FOREVER- remember ra's wild macarons! lol this first pic is amazing! ha ha. Thanks. I want to take some more of them in 'the wild'. Maybe some different locations? Spring is on its way. Maybe.